Self-inflating, with 10cm of cushioned support, fully bonded, and an antibacterial foam interior – all at a seriously affordable price, it’s no wonder that the Zempire Megamats are just flying off the shelves here at Snowys. As these mats have been getting some great feedback from our customers, we thought it was time to shine the spotlight on them. In this video, Ben gives us a rundown on the specs and features of this mat. 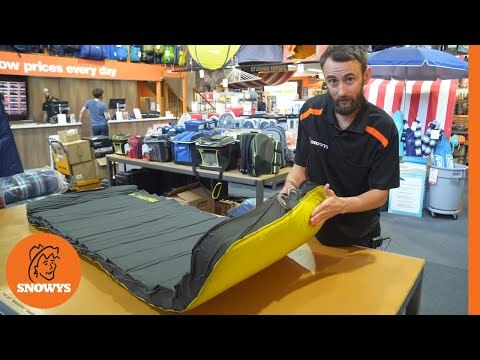 He also shows us how to inflate, add extra firmness, deflate, roll it up and pack it back inside its bag. So, if you’re keen to see more on the Zempire Megamat, then hit that play button above!